Planting trees is just about the best thing we can do for the environment. Trees reduce erosion, clean the air and water, lock down carbon from the atmosphere, provide habitat and much, much more. The Stream ReLeaf program helps property owners plant riparian buffers. Ripar­ian buffers are pro­tec­tive strips of trees, shrubs, and other veg­e­ta­tion along a stream which help prevent ero­sion, pro­vide veg­e­ta­tive cover, and trap nutri­ents such as nitro­gen and phospho­rus – two major pol­lu­tants of the Chesapeake Bay. Thousands of trees have been planted this way. In order for a prop­erty owner to be eli­gi­ble for this pro­gram, they must com­mit to plant­ing a min­i­mum of a dozen trees or shrubs, and the area to be planted must be within 75 feet of a stream (but not in a util­ity right-of-way). For more infor­ma­tion on the Stream ReLeaf Pro­gram, please visit the Recreation and Parks Departments’ Forestry webpage. The Turf to Trees pro­gram was cre­ated to help alle­vi­ate the dam­ag­ing effects of stormwa­ter runoff by increas­ing tree cov­er­age through­out the County. The pro­gram pro­vides trees and plant­ing ser­vices to Howard County prop­erty own­ers with lots of 1.5 to 10 acres in size, free of cost. Since the project started in 2015, over 3,100 trees have been planted. To qual­ify for the pro­gram, prop­erty own­ers must com­mit to receiv­ing and main­tain­ing a min­i­mum of 50 trees. The prop­erty owner must care for the trees pro­vided by the County. To learn more, visit the Turf to Trees webpage. Stu­dents Branch­ing Out is a Howard County pro­gram that involves stu­dents in tree plant­ing projects. Visit the Stu­dents Branch­ing Out web­page to find out more. 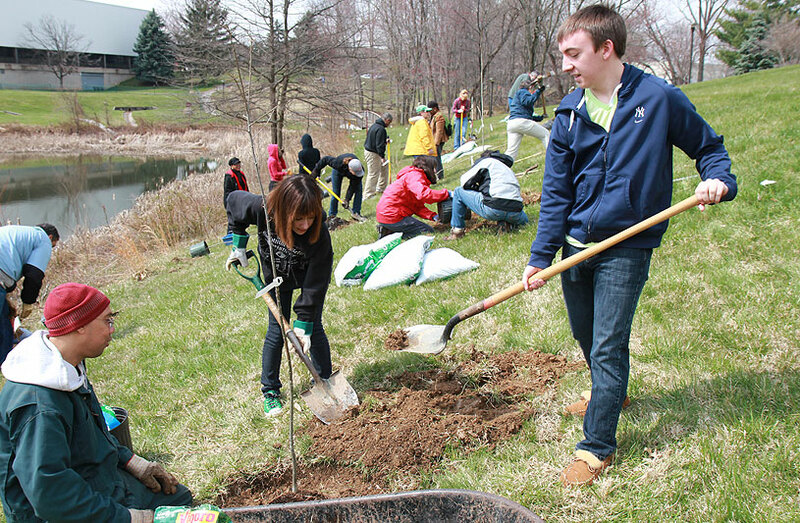 Each spring, at Earth Day with Recre­ation and Parks, vol­un­teers plant trees in local parks or open space. 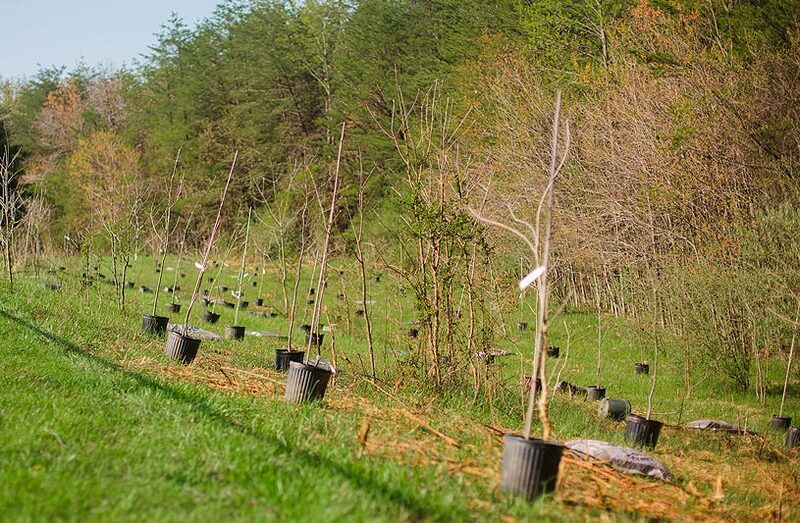 More trees are planted each fall at Fam­ily Vol­un­teer Day. In spring 2017, 250 native trees were given out to Howard County res­i­dents through a part­ner­ship with the Arbor Day Foun­da­tion and BGE. In 2010, the County uti­lized funds from inter­est of the fee-in-lieu* pro­gram to provide free trees to County res­i­dents. These events were called 2010 Trees and 2010 More Trees. Res­i­dents chose a native tree, picked it up, and planted it on their prop­erty. Over 5,000 trees were planted through two events. *When devel­op­ers are not able to per­form their for­est mit­i­ga­tion require­ments through plant­ing they must pay a fee-in-lieu to the County as estab­lished in the For­est Conservation Regulations.